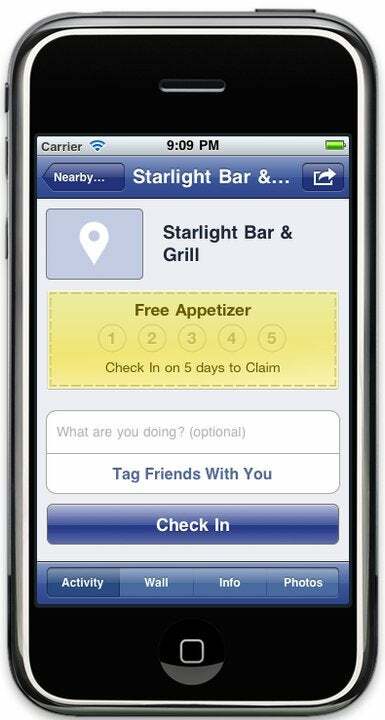 Following on the heels of Facebook introducing Facebook Deals to give businesses a way to capitalize on Facebook Places for marketing, the Pew Internet and American Life Project unveiled a study illustrating that very few people actually use location-based check-in services. When it comes to location-based marketing, though, size doesn't matter--it's all about knowing what to do with it. According to the Pew study, only four percent of online adults in America actually use location-based check-in services like Facebook Places, or Foursquare. However, for the target market of location-based marketing efforts--users who go online with a mobile phone--that number nearly doubles to seven percent. And, while Foursquare and Gowalla are sort of niche techie services, Facebook is a global household name, so you can expect those numbers to increase sharply as Facebook Places catches on. Even at four percent, though, the marketing audience represented by location-based check-in users is significant and potentially lucrative. Sometimes marketing is just about building brand recognition, but most of the time--especially for small local retailers--advertising is about driving traffic and boosting sales, and that means getting customers to take action. Marketing tools commonly used by small local business, such as direct mail marketing packs, carpet bomb an entire community and are considered a success as long as there is a one percent response. That means that spending hundreds of dollars to blast marketing to 10,000 homes--killing trees and littering the planet with junk mail--hoping that 100 will actually take action and respond.